Why do you Need Real Estate Copywriting Services? Why do you actually need it? Are real estate copywriting services the necessary part of the business development on the Internet, of promotion of sites, or it is, after all, unnecessary link, feeder for diverse brethren of scribblers, which abound in the global network? May be exactly they support the notion that real estate copywriting services are necessary, though in reality you can do without this “luxury”? Welcome to RealtyWW! 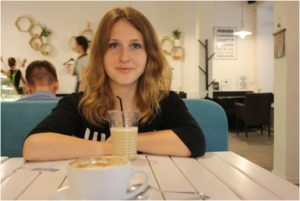 Here lives, writes and takes orders copywriter Lesja Poberezhets. 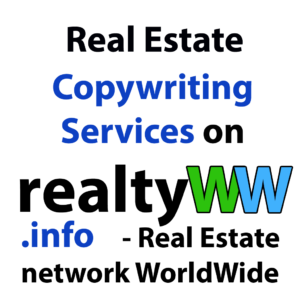 If you make use of my real estate copywriting services, you will receive a guaranteed publication on RealtyWW. Creative mind, literacy, love for own business allows me to write beautiful, high-quality, effective marketing materials on almost any subject, including Real Estate, Home Improvement, Building, Finance, Yard and Garden, Green etc. You will find in me a polite, responsible real estate copywriting professional, ready to write for your site or company/aganacy the best texts. I am young and full of energy journalist. In my early years I have already had some publication on RealtyWW. And if you want to have some special, fresh and full of novelty material, be sure I am the article writer who you need! Texts copyrighting – my theme. If you need the services of a strong real estate copywriting service provider, we will work well together! How to order content writing service?